What’s more fun than camping at the beach? 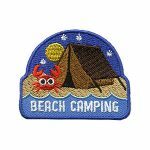 This adorable Beach Camping patch is a great reminder of your beach camping trip. Help your girls practice healthy habits by going for a bike ride. 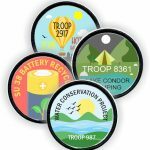 Host a bicycle safety event for your troop or service unit. For a fun troop trip find a local park with a biking trail for a scenic ride. 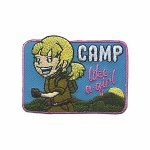 Your girls will love this cute patch after their camping trip. 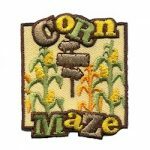 Take a trip to a corn maze and give your girls this patch to remember the fun! 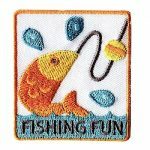 For your camping, girl and special guy event or family fun fishing trip, our Fishing patch is a great reminder of your troop or service unit event. 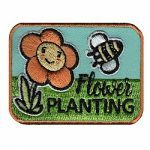 This cute and colorful Flower Planting patch from MakingFriends®.com is a great addition to any scout uniform whether you are planting flowers for community service or as part of a petal, JOURNEY* or badge. 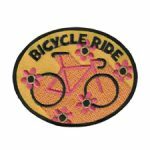 This patch comes free with the Garden Adventure Badge in a Bag® from MakingFriends®.com. 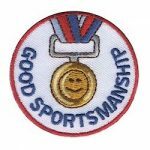 Perfect way to reward someone who has good sportsmanship! 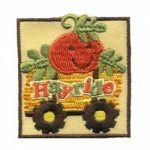 Your girls will love this Hay Ride patch to remember their trip this fall.